When you think about insuring something, you may just think of possessions, and no one wants to think their pet as just a mere possession, but as a member of the family. However, just like people, pets can get into a number of accidents or become ill. In the unfortunate event in something such as injury or illness comes upon your furry family member, pet insurance can help to alleviate the substantial cost involved in getting them better. According to the Ontario Veterinary Medical Association, only about 3% of Canadian pet owners actually have pet insurance. The low numbers are thanks in part to the fact that many find the nature of pet insurance policies confusing and are not sure what is covered or what coverage to opt for. To help ease some of the confusion, here are some of the things covered under a pet insurance policy and tips to help determine what sort of coverage may be right for you and your pet. What is covered under a pet insurance policy? While different insurers may have their own variations, there are a few standard types of coverage available to pet owners, with additional coverage that can be added if necessary. Accident Insurance – In the unfortunate event that your pet is harmed in an accident, accident insurance will help to alleviate or fully cover the costs involved in emergency veterinary care as well as any necessary ongoing treatment. Accident and Illness Insurance – While offering the same coverage as accident insurance, this coverage also includes illness insurance. If your pet gets sick, illness insurance helps to cover the cost involved with any treatment, including hospitalization, surgery, rehabilitation, and medication. Preventive Insurance – Many insurance companies and veterinarians alike are beginning to offer plans that give pet owners the ability to pay a flat monthly fee, which is able to cover the cost of regular care. This would cover services such as routine examinations, tests, and screenings, as well as vaccinations, and parasite treatments. Liability Insurance –If your pet causes damage to someone’s property or injures someone (like a dog biting a stranger), this liability insurance will help cover subsequent legal fees. 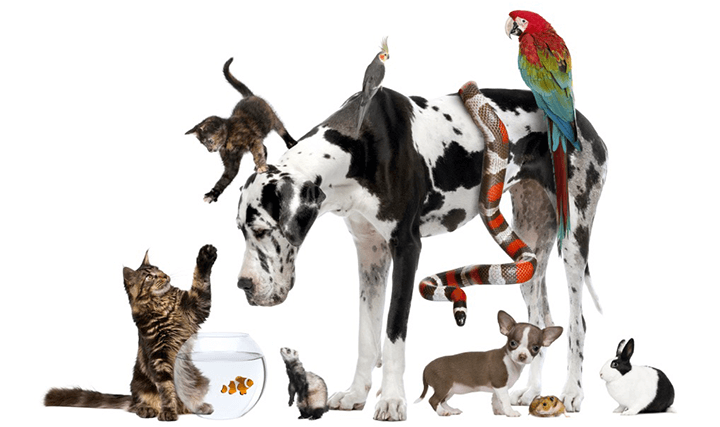 Additional coverage– Most pet insurance providers also offer additional coverage that you may want to add on to one of the options listed above. This additional coverage is aimed to help with the costs associated with third-party property damage, boarding fees, cremation or burial services, and more. While your pet may have some coverage under your current home insurance policy is it a good idea to check exactly what coverage you have for your furry family member and if additional coverage is warranted. The best way to determine which type of coverage listed above is best suited to the needs of you and your pet is to ask specific questions. The more you know what any given policy is able to provide will give you a better idea as to what the best option is. Here are some questions to ask before committing to a policy to ensure that you and your pet are getting the coverage you need. Which accidents and illnesses does the plan cover? Is there anything specifically not covered in the plan? Are there any breed-specific exclusions? When traveling outside of the province or country, is the pet still covered? Are there any discounts for spayed/neutered pets? Mircro-chipped pets? Will the premium change as the pet ages? What add-on coverage options are available? What will happen to the premium in the event that a claim is made? Is there a maximum payout per claim, or calendar year? When making a claim, do the veterinarian bills needs to be paid upfront? How long does it take to receive payment once a claim is made? How does the premium change if multiple pets are included? Though insuring your pet may not sound like a fun prospect – no one likes to imagine needing pet insurance – it can alleviate you of a stressful burden during an upsetting time, and is worth the consideration of any pet own. Look into the cost and determine whether or not coverage is a viable option for your pet.